Need the Most Reliable and Time-Saving House Cleaning in Magnolia TX? That’s Clean Maids will point you in the right direction! You don’t have to waste time cleaning anymore because there are cleaning experts who can take it off your hands. 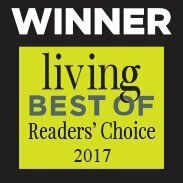 Book through the leading referral agency That's Clean Maids and rest assured you will have chosen the best house cleaning Magnolia TX has to offer. You can finally dedicate yourself to your passions while leaving the dirty work to true cleaning pros! 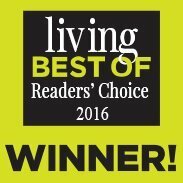 We are more than happy to be true Magnolia natives! We’re not just a cleaning referral agency, but also believers in some good old-fashioned values, such as dedication and hard work, helping others, making people happy and doing the right thing every time. These are our core principles and our business objectives. We’re also devoted to bringing you an excellent client experience. You’ll notice the difference the moment you book with us! Keeping your home spotless is hard, not to mention never-ending! Luckily, you don't have to worry about it anymore. Find the right cleaning package for your needs and say goodbye to cleaning. We offer flat or hourly rates and do not require you to sign a contract. We are all about meeting and exceeding your expectations, and our main goal is to make YOU happy. Customize your cleaning package to meet the needs of your home and your need for Houston maid services! Magnolia TX is amazing, offering plenty of fun things to do, such as visiting the award-winning Unity Park or the inspiring Historic Depot. So, it’s no wonder that you always have visitors. But wait, you realized you forgot to tidy up your home! No need to worry about cleaning ever again! Leave the house cleaning to professionals! Your days should be more about precious moments that you can share with your loved ones. How often do you think “so many things to do, so little time”? If keeping up with your schedule has become a struggle, you definitely need some help! That’s Clean Maids comes to the rescue! Let us match you with the best in the business! 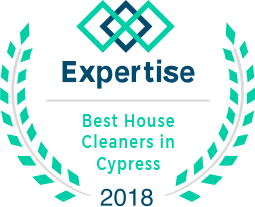 You can also book house cleaning Cypress, house cleaning Spring, house cleaning Tomball, house cleaning The Woodlands and house cleaning Katy, areas. We start saving you time from your first click. Our online booking is simple, our flat-rate pricing is easy and you won’t be charged until the job has been done and done. Do you need occasional or regular clean-ups? Are you ready to move, and need someone to make your home spotless beforehand? From tile and grout cleaning to carpet, basic and deep cleaning, you'll be covered, as we'll connect you with the go-to cleaning service in Magnolia. Have any preferences and special requests? Not a problem. Cleaning services can be personalized to suit your needs. We go to great lengths to meet and exceed your expectations, as do the cleaners we work with. Your meticulous and trustworthy cleaners are available Mon-Sat, 8 a.m. - 7 p.m. They will show up on time, fully equipped and ready to work. We can send the same cleaning team every time because we know that you feel most comfortable with a familiar face. When you reach out to That’s Clean Maids, you're basically all set! You’ll feel comfortable and safe as we'll make sure of that. All cleaners are fully trained and insured for your peace of mind. We hand-pick the cleaners through a stringent vetting system, consisting of phone and in-person interviews, reference and background checks. Furthermore, all cleaners get rated for each cleaning based on your feedback. And if you’re not absolutely satisfied, they will come back to re-clean the area free of charge, no questions asked! We work hard to earn your trust and strive to resolve all complaints within 48 hours. We also offer up to 40% discounts for our recurring customers and 10% discounts for second services! 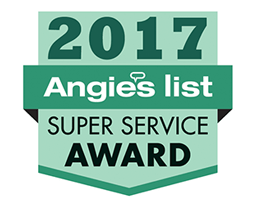 See for yourself why we are the top-tier cleaning referral service in Magnolia! With our help, getting your house clean has never been easier! All the cleaners go through a rigorous vetting process and extensive background and reference checks. Top-notch cleaners take cleaning off your hands so that you can focus on yourself and the things that matter to you the most. We'll charge you for the service only after the job has been completed, making payments easy and simple. You can give us your feedback and rate your cleaners via email! Making you happy is our top priority! You can reach out to us via a phone call or email. Automated reminders are available to all our customers for their cleanings.